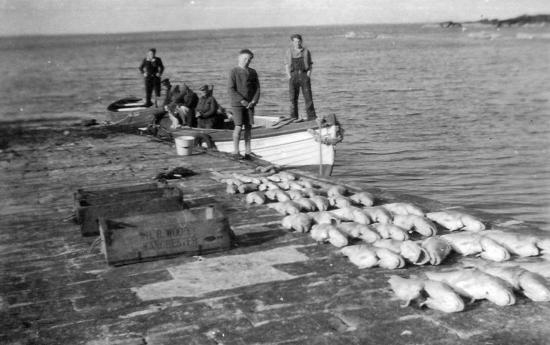 The Brough Archive, created from photographs, artefacts and memories from the local community, was initially collected by members of Brough Bay Association, all volunteers, as part of a project to renovate the Brough Harbour in 2011. They have since continued to update the digital archive, and last week launched an new database at Castlehill Heritage Centre where the public can view it. This turned out to be the last message written by one of the crew on the ship the May Island. Danny Begg, aged about 13 at the time, travelled to Shetland with the police, to give evidence at the inquest, as all crew were lost and this was the only evidence of what happened. Danny’s find made news in the Scottish newspapers at the time. Listen to recordings of memories of other villagers and hear about the many travelling shops, when electricity was first introduced, keeping the light going at Dunnet Head Lighthouse, salmon fishing from Brough Harbour and the intricacies of building a peat stack. More recent photographs document this winters storm damage to the seawall in front of the lighthouse store and bothy with emergency repairs by local contractors and volunteers. The archive is available to view during Castlehill Heritage Centres normal opening hours or by special arrangements with the heritage centre volunteers who are also keen for the public to make use of the new resource.